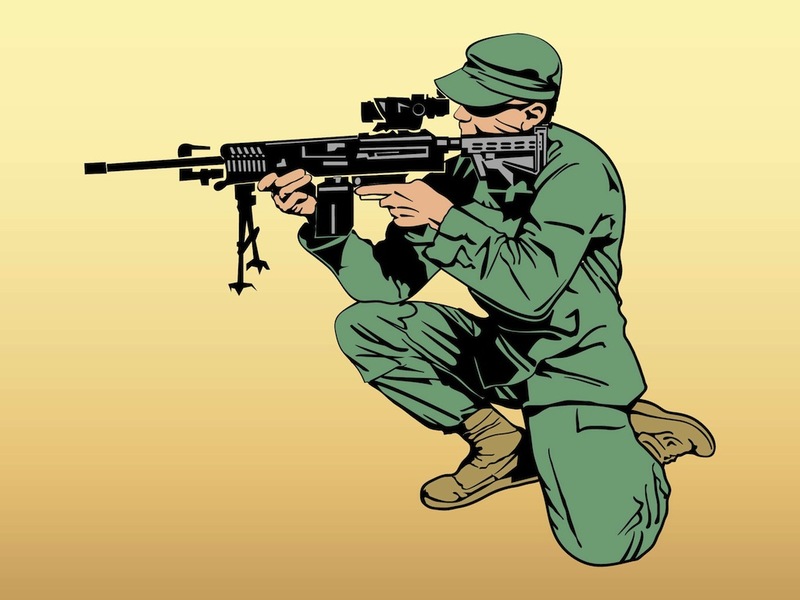 Free soldier vector illustration. Comic book style vector portrait of a soldier. Man with a big gun aiming at his target. Sunglasses and hat hiding the soldier’s face, typical military uniform. Free vector illustration for all guns, shooting, army, war, military, soldiers and fighting designs. Download soldier portrait for posters and flyers. Tags: Aim, Army, Attack, Battle, Defense, Fight, Gun, Shoot, Soldier, War.